Slides and photographs are kept by many different types of organisations as well as the general public for personal use. Printed photographs are usually kept stored away in boxes where these pictures are susceptible to wear and tear after time. Slide scanning and photo scanning are an effective way to ensure these are all safely backed up electronically for the long-term along with any newer digital photographs. With our high quality photo scanning, slide scanning and image enhancement processes we can have any collection of photographs or slides digitised and indexed into whatever category you require. By having slides and photographs available electronically it offers many benefits to the owner. Have all of your old photographs available in digital format for slide shows or for uploading online. Have site/building photographs available from your desktop. Search for your photograph or slide quickly by name or reference number. 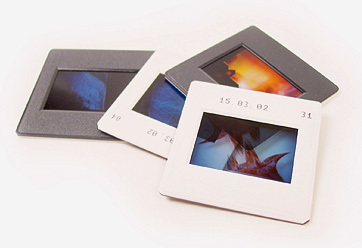 Ensure old pictures and slides are digitised safe from loss or damage. You can either dispatch your slides, transparencies or photo, etc. to us or we can collect from you using our secure next day courier services. Once scanned we can then index each image by its relevant or required data, for example, Name, Reference Number and Location etc. Our negatives, slides and photos scanning services are fully accredited to ISO 9001:2000 quality assurance standards and in addition to this, we have developed our internal quality-control procedures to ensure that the scanning and digitalisation process meets the required quality standards. The scanned images are normally delivered on a CD, DVD, USB or via secure FTP. For the security and confidentiality of the data delivery, we can encrypt the entire data using highest level of encryption. Pearl Scan also offers high quality reproduction of artwork or prints in many formats, if you have any paintings, collages, canvas work or glossy prints we can have them scanned at very high resolution capturing every detail from the original. It makes sense to have your artwork in electronic format to upload online or send via email. Your photographs can also be used in a DVD movie so you can watch them all on your DVD player in chronological order with an accompanying soundtrack viewable on your DVD player/home TV. 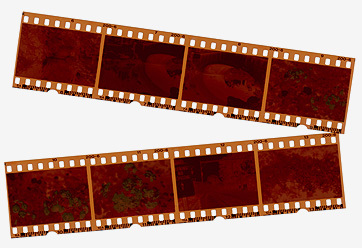 For some interesting stories and more information about negative scanning, check out our blog.